2008 - Warm Glass Prize. 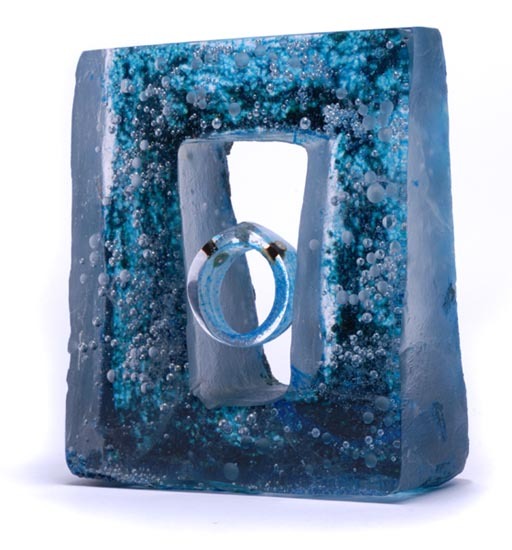 International Competition, awarded 2nd prize in the Student category by international Glass Artist Catharine Newell. Sara is intrigued by the idea of how people hide 'precious things' away, out of sight, kept safe. "Why hide what is beautiful and what pleases your eye?" The 'O' precious series is conceived from this notion, turning it around, celebrating jewellery as an art form. 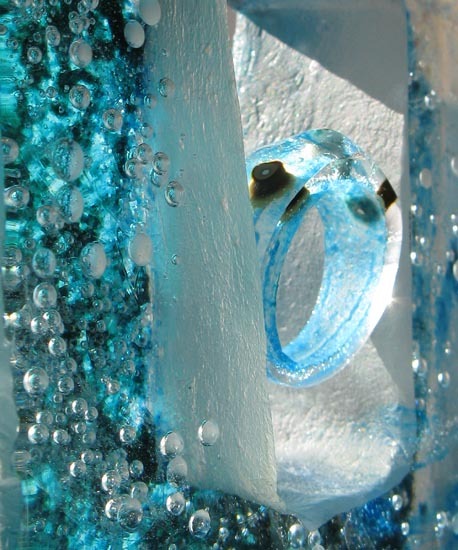 The cast glass cache 'keeps safe' the jewellery when it is not worn, yet becomes and intrinsic element of the cast art glass cache. The form of the cache is a reflection of ancient history from the stone door way of an Egyptian tomb, to Stonehenge, Quoits and Shrines.